Becoming The One gives you a complete blueprint for becoming “the one” in his yes, and more importantly, yours. It's a deep-dive program that gives you a new way to approach men and create deep connections with them more effortlessly. 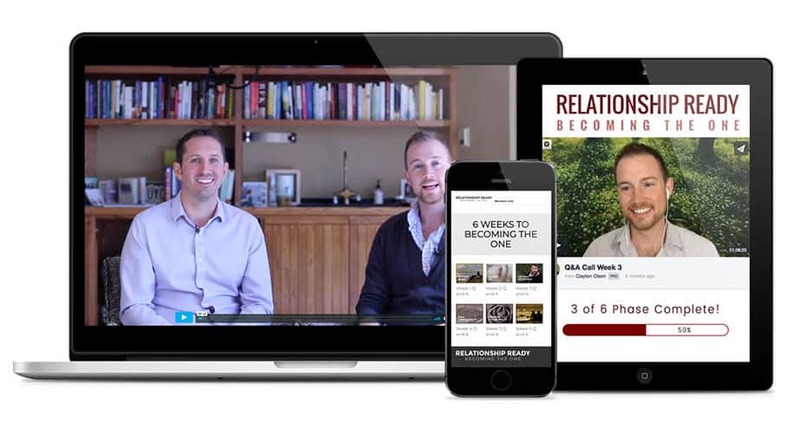 It's taught by us, Clayton Olson & Jack Butler, who aim to give you an unveiled insight on how to relate with men via from a man's perspective so you can inspire him to love and be loved with you. Actions Of Attraction, reveals simple actions that meet your man’s deepest needs and help him feel seen, respected and loved in a very special way. When you understand your specific man’s deeper values, those things that actually determine what make him happy, you’ll understand why he does the things he does and exactly how to make him feel loved and respected like no other woman could.